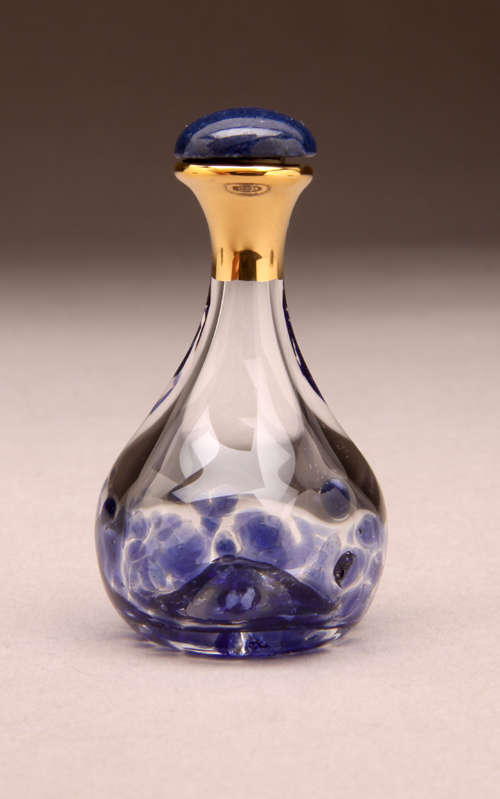 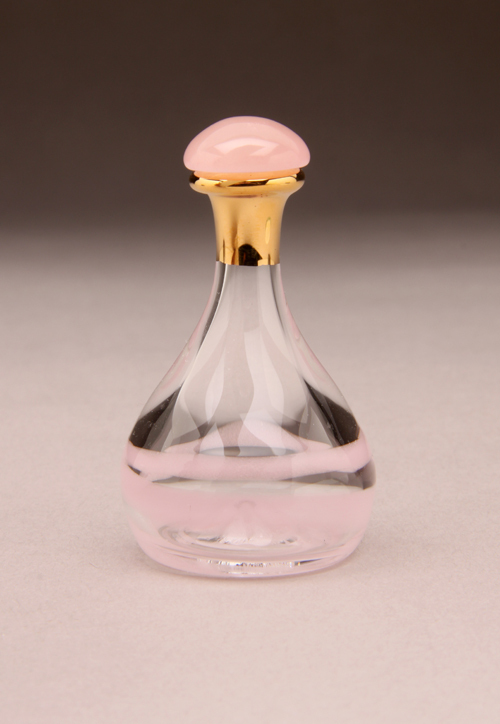 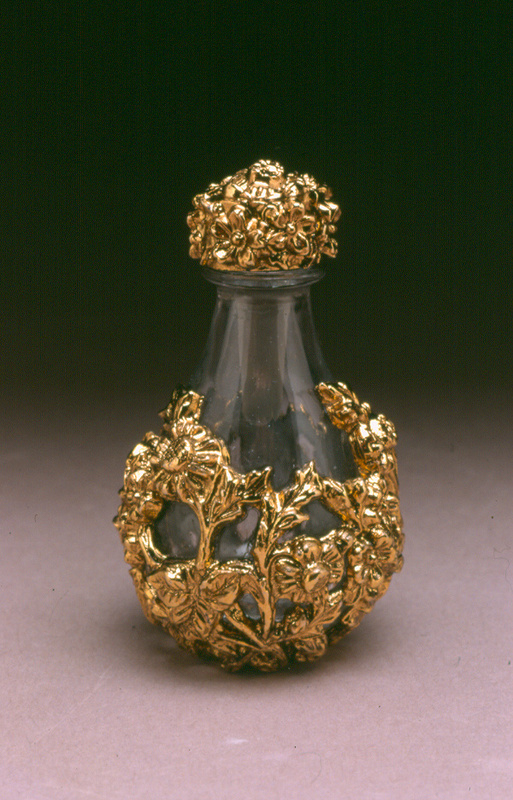 Victorian design inspired the style of this unique Tear Bottle. 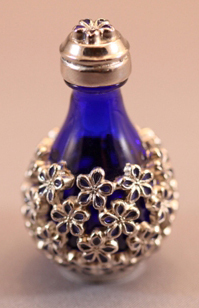 About 2 inches tall. 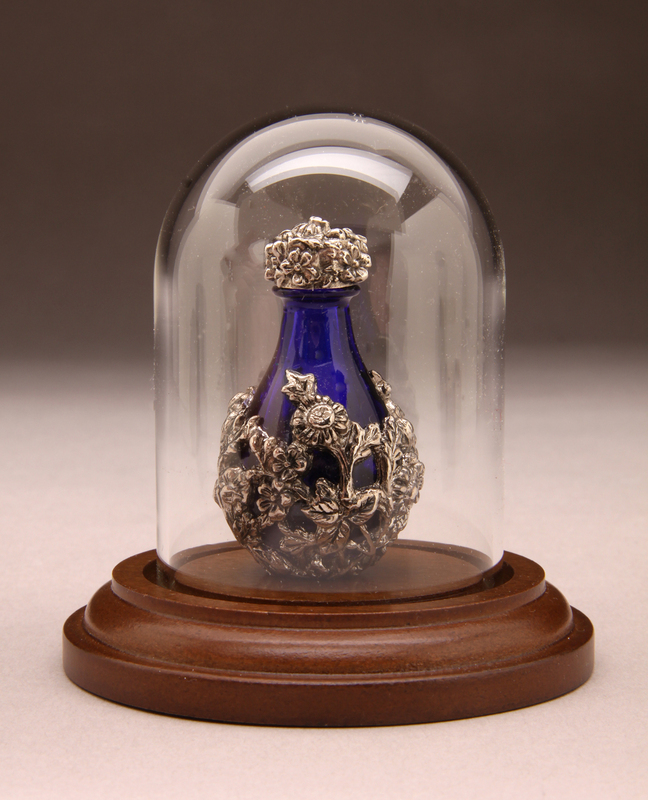 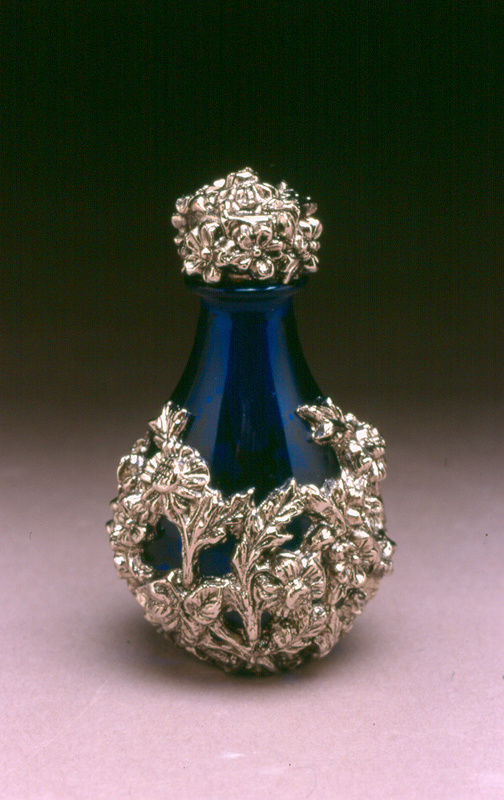 Intricate antiqued silver filigree pattern of flowers and leaves wraps around the cobalt blue glass bottle and also covers the cap. 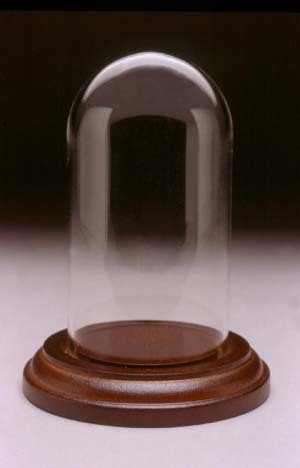 Original Timeless Traditions logo stamped on the bottom. 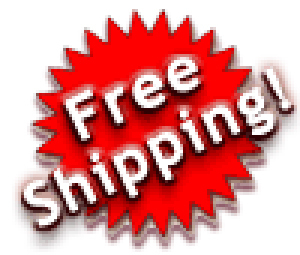 Lead free metal decoration designed and manufactured in USA. 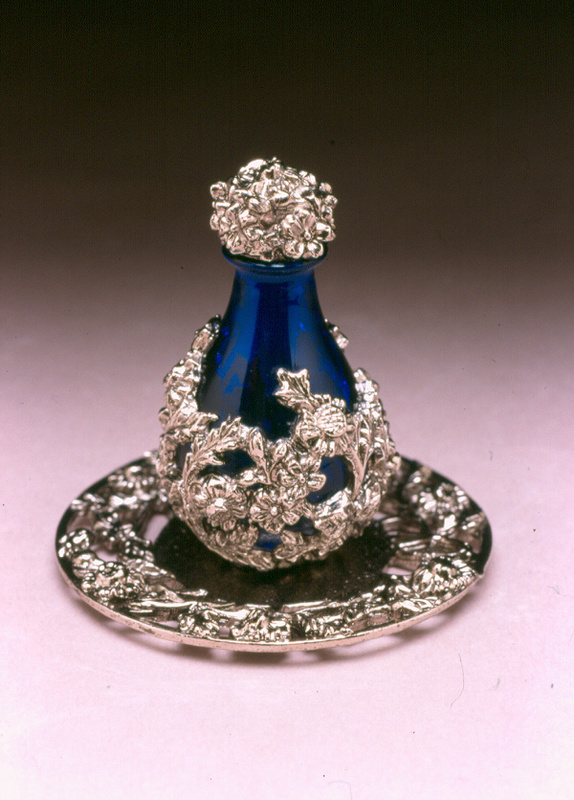 Matching tear bottle tray is optional.